A husband broke his wife’s arm after she boasted about sleeping with another man in their marital bed. Peter Graham, 68, was outraged, as expected, after Sara Wheeler, 56, told him that she had been unfaithful. The confession resulted in a row that spiraled out of control. It happened at their home in South Hill Park, Hampstead, England. As they quarreled, Sara repeatedly goaded Peter, daring him to hit her so he used both hands to twist her left arm, thereby breaking it in three places. “She had taunted him by saying ‘hit me, hit me, hit me’ and then he gave her wrist a twist just to shut her up,” prosecutor Deepak Kapur told the Blackfriars Crown Court. The court heard Graham has since moved out of the marital home but still sees his two teenage sons, regularly taking one of the boys to school. He is barred from contacting Ms. Wheeler but is allowed to visit the family home on the condition he leaves before she returns. Ms. Daly described the new arrangement as representing “a lasting punishment for him”. 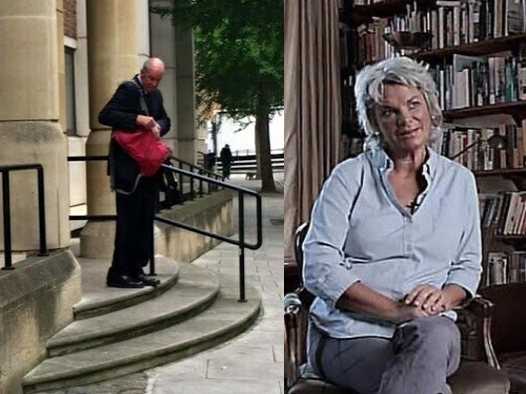 Judge Shetty revealed that a prison sentence will have a disastrous effect on the family, especially considering that Ms. Wheeler travels a lot for work and Graham needs to be around to look after their children. Graham was handed an eight-month prison sentence, suspended for 18 months. He must also undertake a rehabilitative activity requirement spanning 25 days and abide by a curfew stipulating that he must be indoors between the hours of 9 pm and 8 am. The judge also ordered him to pay £535 costs as well as a court surcharge.